Grab the picnic basket with one hand and the Coleman Picnic Set with the other the next time you take your meal outdoors. 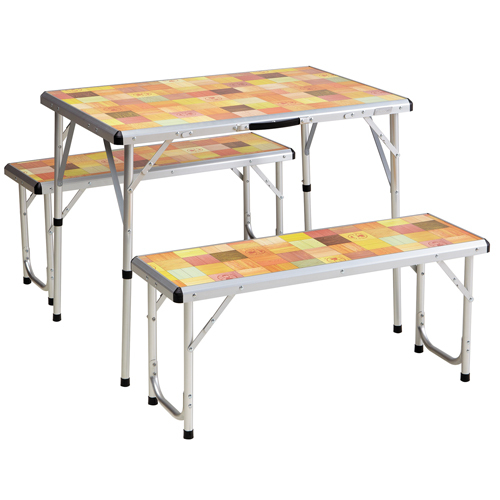 The table and dual-bench set is easy to set up and put away. The reason-the integrated storage system folds flat and hooks together for incredibly compact storage. The set is as durable as it is innovative. The weather-resistant MDF tabletop supports up to 300 lbs., and each bench can hold up to 400 lbs.